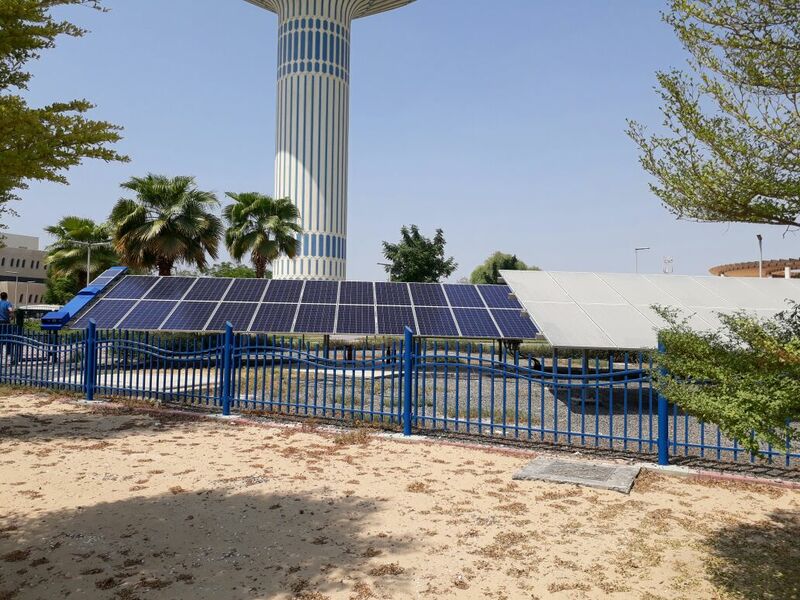 The General Maintenance Department of Dubai Municipality, as part of its plan to keep abreast of modern applications and advanced methods of project operation, recently implemented one of the new smart applications, automatic cleaning of solar panels that are used for lighting parks, in Al Khazan Park. Jabir Al Ali, Director of General Maintenance Department at Dubai Municipality, said that solar energy projects and applications have become a priority in Dubai Municipality's projects due to its economic feasibility and environmental and health benefits. He stressed that the optimal operation of solar projects requires the provision of supplementary services to ensure the best results of its design, implementation and operation, adding that the application of cleaning the solar panels automatically in Al Khazan Park, is a preparatory stage for implementing this successful experience in existing and future solar projects.